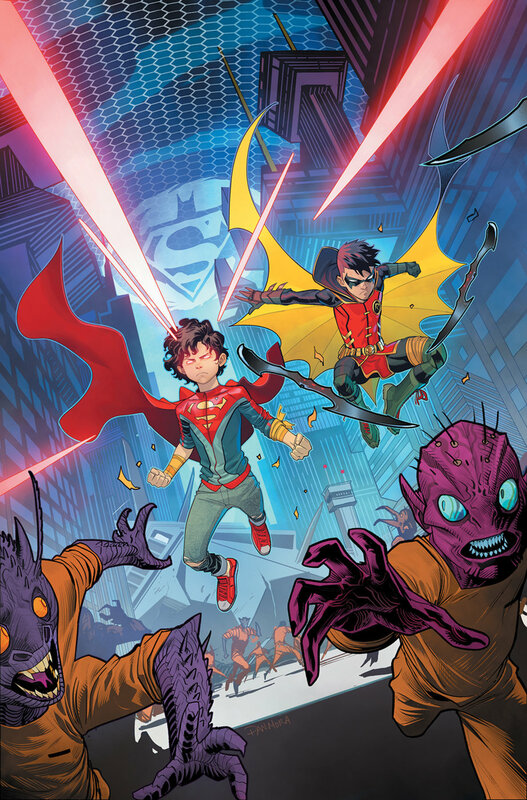 A Big Month For Tim Drake Robin and Jon Kent Superboy In Superman and Adventures Of The Super Sons! Plus The Crime Syndicate Returns! The secrets of the house of El are revealed as the Unity Saga continues! 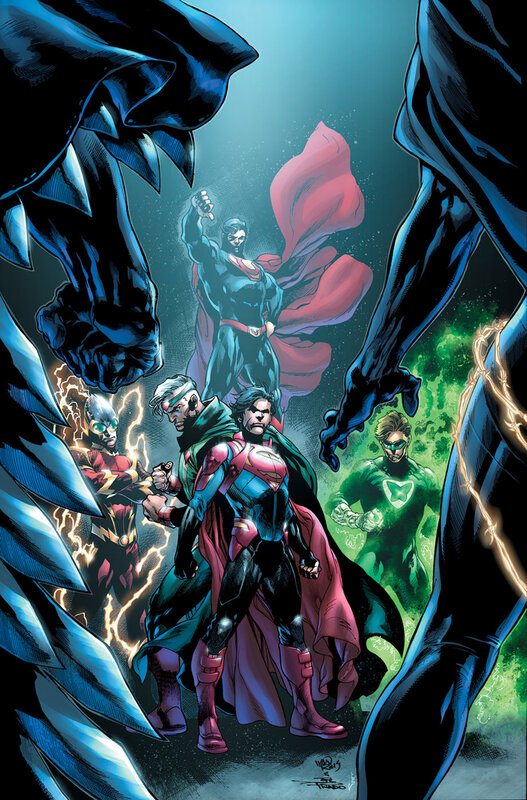 Traveling through space, young Jon Kent has faced everything the universe could throw at him, but after an accident sends him and his grandfather Jor-El across dimensions, the new Superboy comes face to face with a terrifyingly evil version of his own father: Ultraman and his horrible version of the Justice League, the Crime Syndicate! Find out what happened to Superman’s father and how Jon made it back home from this strange and crime-ridden alternate world. Incarcerated on the prison planet of Takron-Galtos, Superboy and Robin face off against their fellow inmate Rex Luthor and the newest members of the Gang! But Robin has a plan, and it involves a piece of glittering jewelry called a Green Lantern ring! Be here for the start of “No Evil Shall Escape Their Sight”!